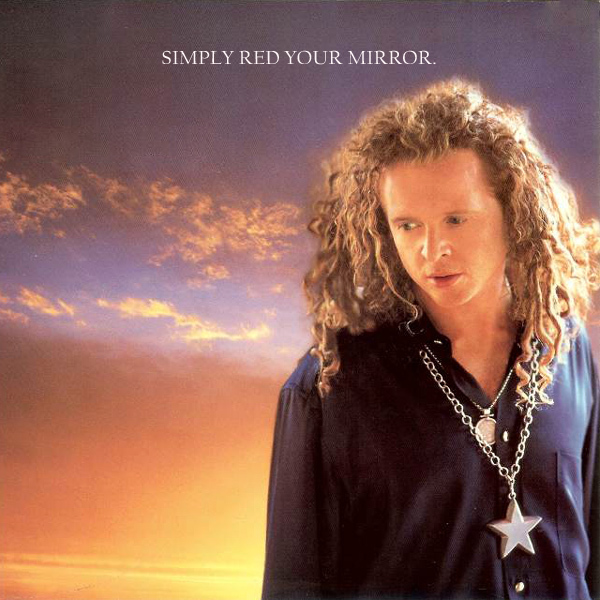 So Simply Red want to sing to us about Your Mirror do they? This is odd, as on the original single cover artwork, there are no mirrors visible, just the lead singer standing in front of a sunset (or is it a sunrise?) On the remix we find a babe examining her outfit in a mirror. Is it her mirror, or is it your mirror? That is for you to know and us to puzzle about. One thing is for certain, she needs to put on a few more clothes if she is going to walk outside into the sunrise (or sunset) as the outfit she has on at the moment is only really any use in bedrooms with mirrors and little else. Echo!